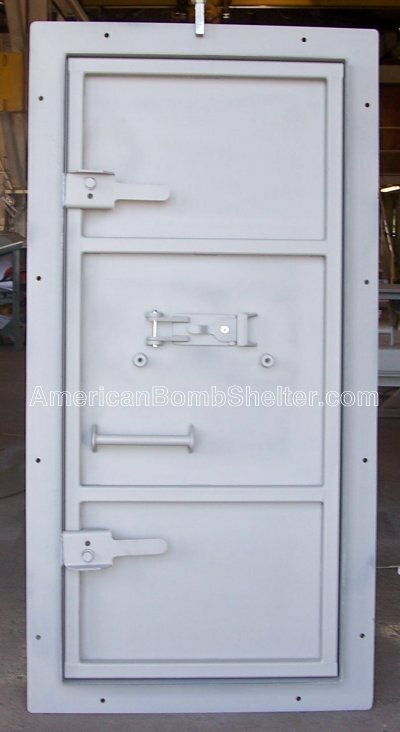 American Safe Room manufactures these pre-hung ballistic door that is engineered to protect your shelter from malicious people. They features a ballistic steel plate that is capable of withstanding multiple hits with a 7.62 NATO rifle round – UL 752 level 8 protection. They are making rifles smaller and lighter these days. Why get a door that only stops handgun rounds? This is the inside of the above door. Wide angle viewers flank a secure gun port at any height you need. Rotating cam latches draw the door into the frame, compressing the seal that prevents airborne toxins from entering your shelter. This particular door has its viewers mounted below the gun port. You determine the height you want the port and viewers at time of order. This door has its viewers mounted above the gun port. The viewers keep your head out of the port and behind the ballistic plate. You can have a three or five inch step over threshold, a step over frame, or a flat threshold. See page eight of the single leaf blast door manual for detail drawings of these thresholds. 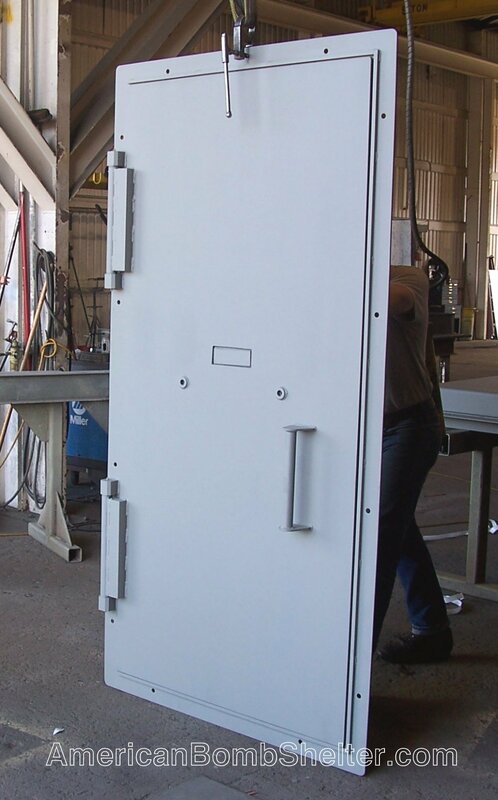 We can easily scale up the ballistic plate on these doors to one inch or more. 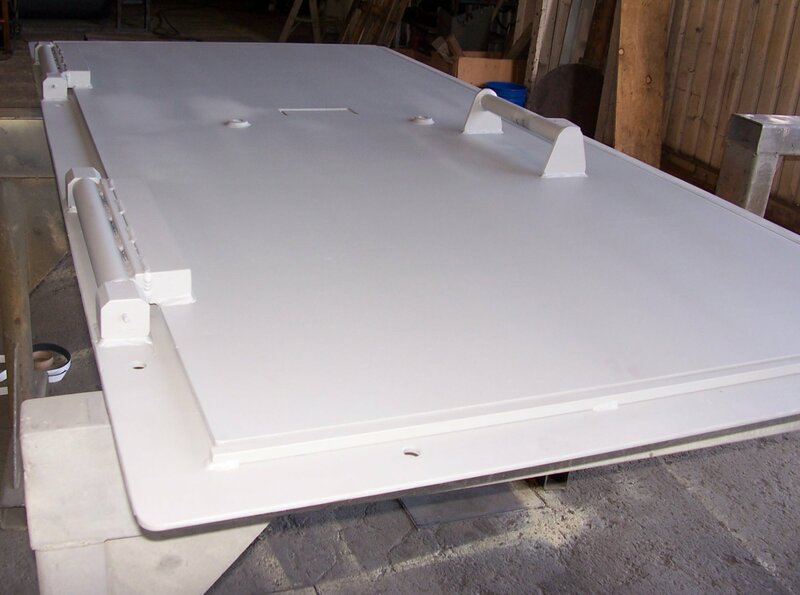 We’ve built missile resistant doors for the FLEX buildings in nuclear power plants with a two inch steel plate. 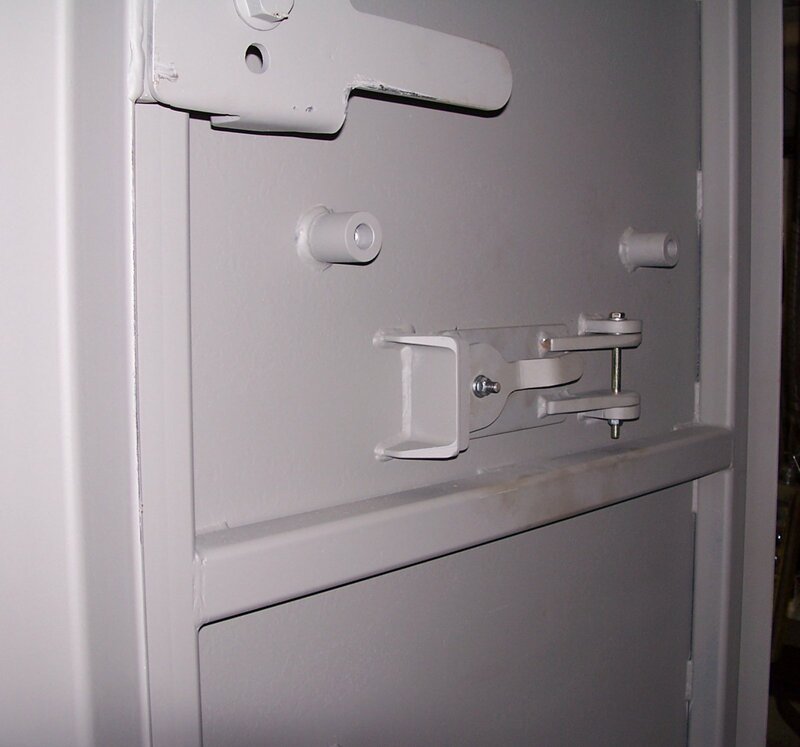 Our frames, hinges, and latches scale up with no problems. 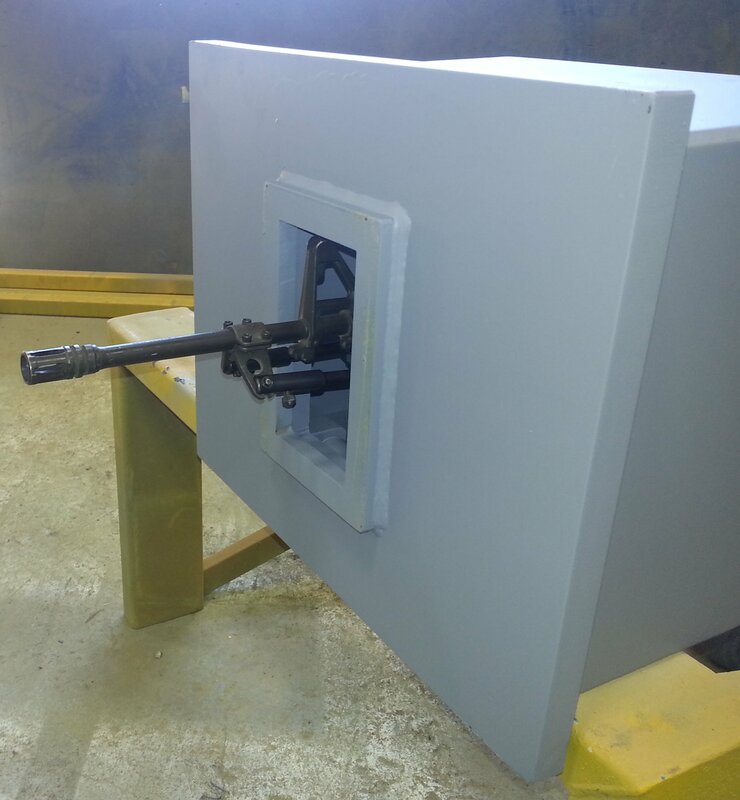 We’ve also built several dozen cast in place gun ports for a large facility with a one inch ballistic plate. This plate stopped a 50 caliber armor piercing round in our testing. The round did not make it even half way through. See a video of the test here. This is serious armor on the place that malicious people attack first – the door. Nobody will breach this amount of protection without making enough noise to wake up anyone sleeping inside. This gives you the opportunity to interact with them on your terms. 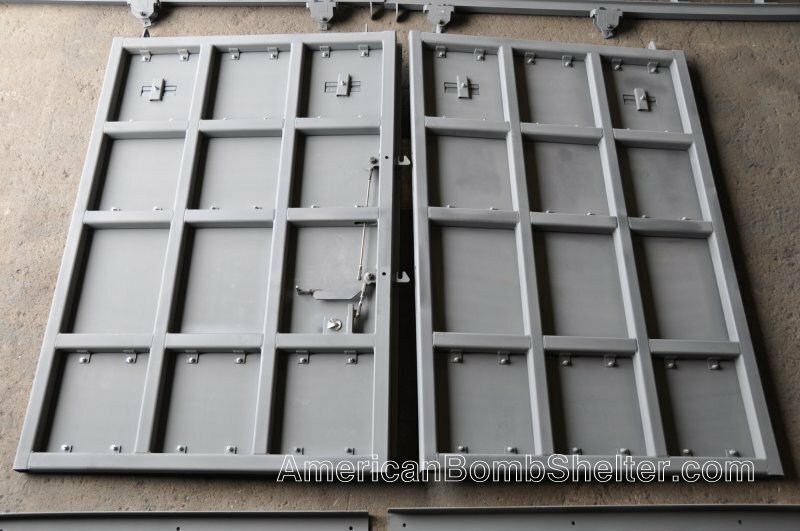 The ballistic plate on this door is rated for UL 752, level 8 – multiple hits with 7.62 NATO ball. 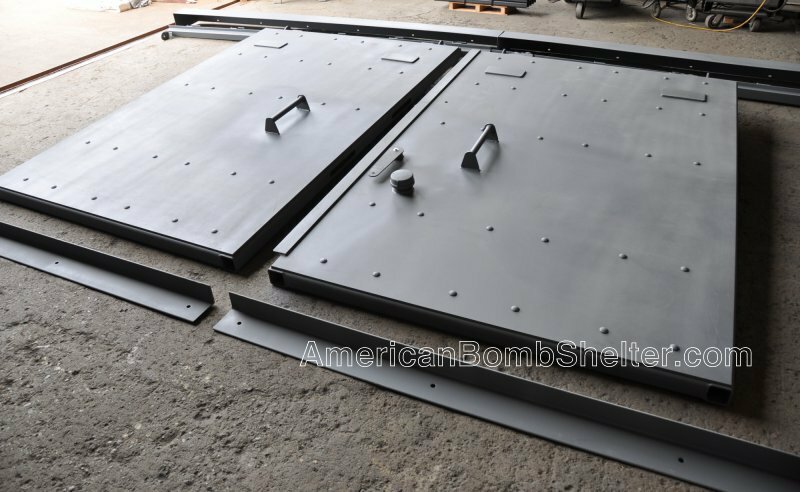 We have made doors and pour in place gun ports that have been tested to 50 caliber armor piercing. This is the inside of the sliding ballistic door. Note the deadbolt that locks the latch system in place. It operates with a key from the outside and is keyless on the inside. How to order: page five of the blast door manual has a worksheet that walks you through generating a part number that shows the size and options. You can e-mail or FAX the part number in with a delivery address and we will return a quotation – usually the same day. Financing is available for this item – just send the one minute credit application in to Partners Capitol Group.